NOTE: THE BELOW INTROUCE USE FOR “ GSM MOBILE PHONE VERSION” AND “GPRS WEB SERVICE VERSION”, “ GSM /GPS MOBILE PHONE VERSION” AND “GPRS/GPS WEB SERVICE VERSION”, READER CHOOSE TO READ ACCORDING YOUR PURCHASE REQUIREMENT!!!! 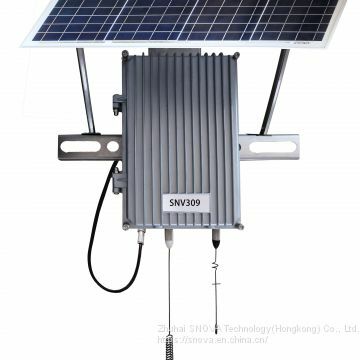 SNV series overhead type Fault Indicator system is based on the Sensor that through CT get the (10KV-50KV) line’s current signal, through smart computer chip by program calculating, Analysis ,judge the short circuit or ground fault. 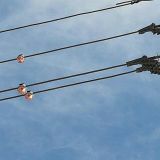 When Sensor detect the fault happen, then the Fault indicator warn the manager through turn red flag, and shine red led. 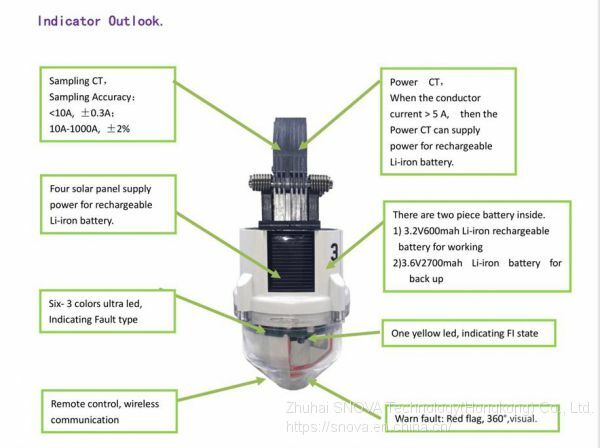 It is good for power managing user to find the fault happen reason and place, then fast solve the problem and make the power restore. 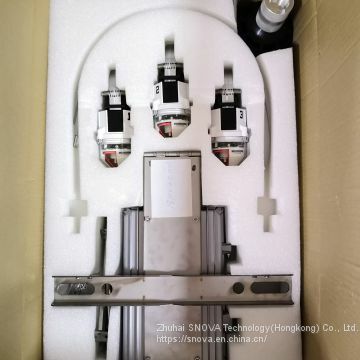 SNV Fault Indicator with the aid of the professional control terminal equipment and Web server, it can achieve to remote read and manage the Fault indicator state on times. a) Available to change the parameter setting through Web server. 1) Normally, Flag is on blank position. Every 3hour, Flag will reset one times for avoiding un fault turn to red flag. 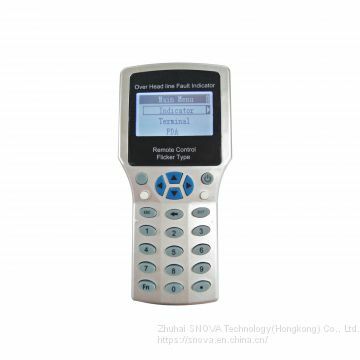 PDA is a setting controller, it use for wireless remote to set and change Fault indicator sensor and Control terminal parameter. 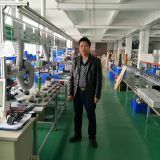 PDA have the function to read the Fault indicator real time state, such as: line current and Fault indicator battery voltage. At same time, user can do the fault indicator one line test through PDA. 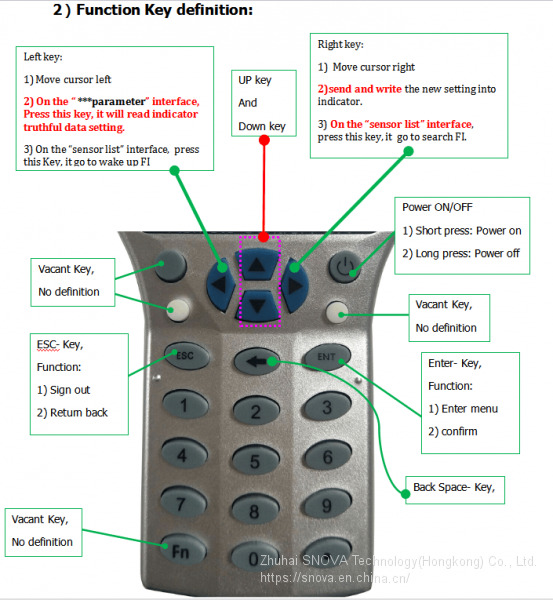 Control terminal is use for the communication between the fault indicator , GPS satellite and web server or user GSM mobile phone. 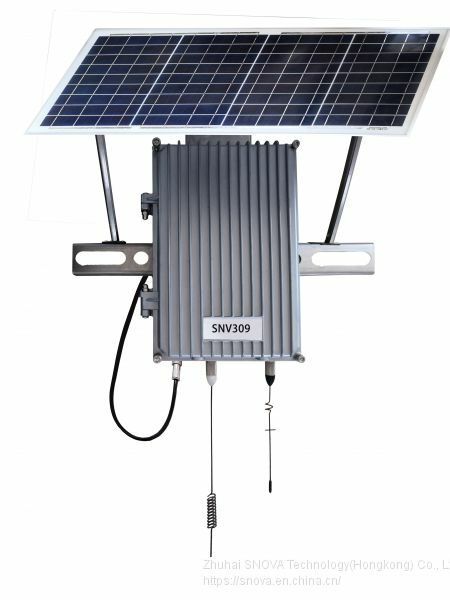 There need insert a SIM card with GPRS and GSM function. 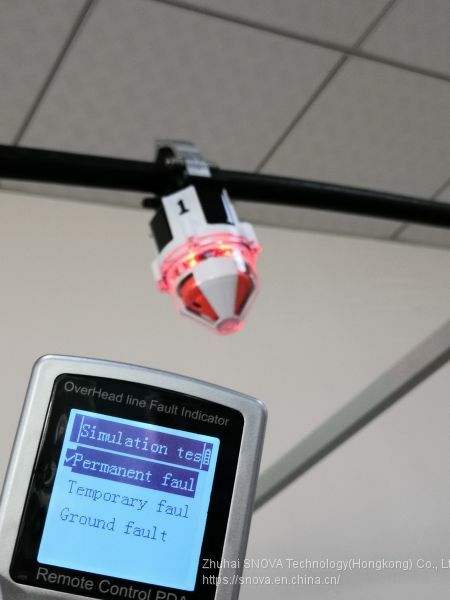 First, Fault indicator will auto upload information to Control Terminal real time through 433M wireless communication..
Second, When user use mobile phone, send SMS command to control terminal, then terminal will execute command and send Corresponding information to user mobile phone. 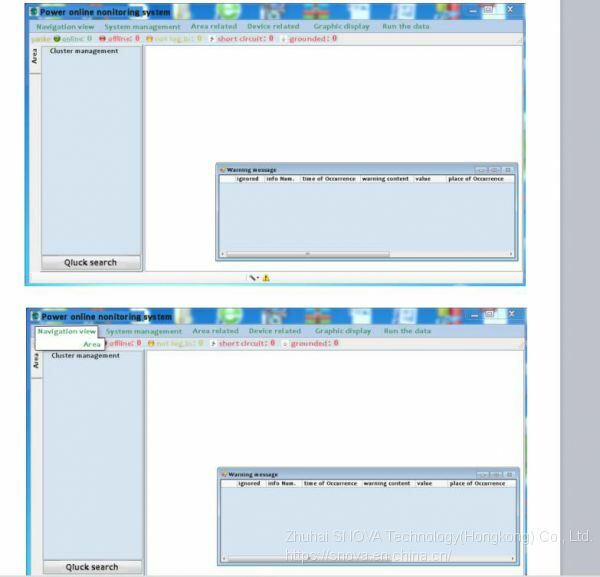 Third, When the control accessed with web server, the terminal will upload all information to web sever. 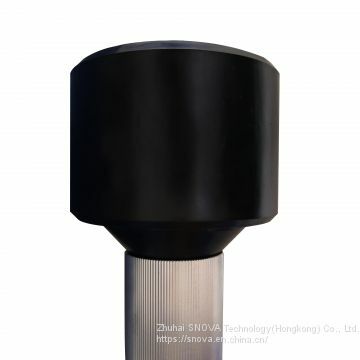 User can read and manage the all the accessed fault sensor state real time through run a professional software on computer. Computer required connected with internet. 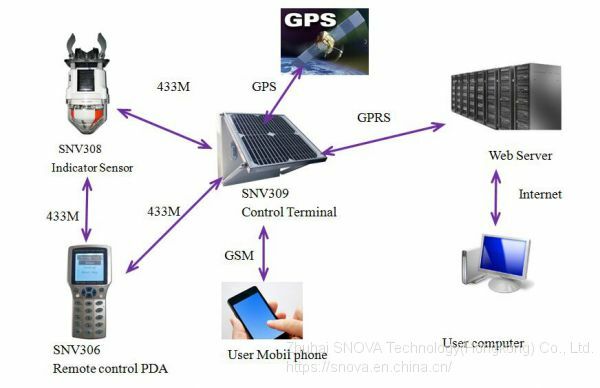 Fourth, GPS Function, when the terminal put outside, then the GPS antenna will connect with GPS satellite and terminal will get the GPS position, longitude and latitude value. 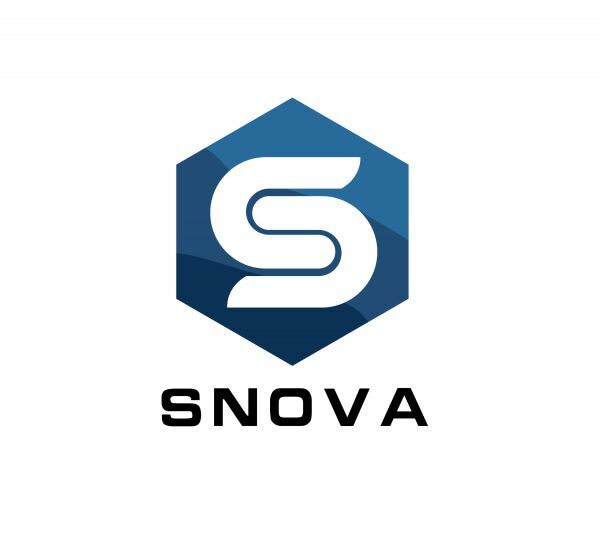 SNV software is a professional APP use for reading and managing fault indicators. User run the APP, then login and accessed with web sever. 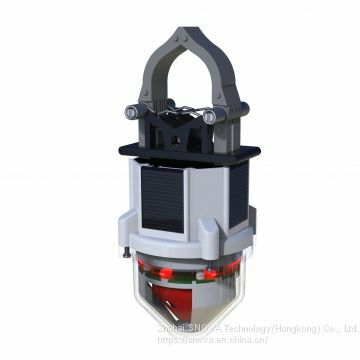 It is a convenient and intuitive interface. We can directly watch the current chart real time, and history current chart. Then below is some of the software Page screenshot. 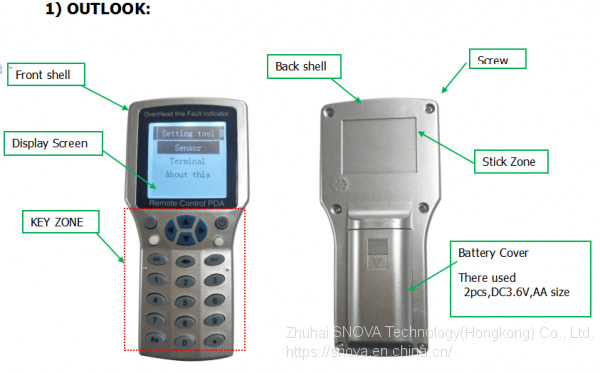 INQUIRY ABOUT GSM and GPRS/GPS remote Communication Terminal system,IEC101Zhuhai SNOVA Technology(Hongkong) Co., Ltd.